Betshop is a bookmaking company, which is based on the territory of Great Britain. The bookmaker began operations in 2001, having started to accept bets both online and offline simultaneously. 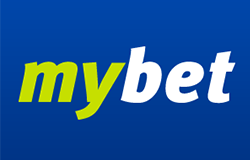 It also should be mentioned that Betshop bookie has real outlets, accepting wagers in the following countries: Germany, Italy, Cyprus and Romania. The bookmaker performs its international activities on the internet under the license, received from the government of Great Britain. The bookie's interests include not only sporting bets, but also poker, casino, slot machines and other gambling entertainment. 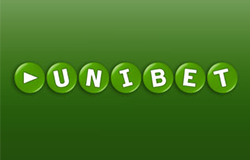 It is still unclear whether the bookie is an independent organization or it is subsidiary to one of the giants of the betting world. Below you can find some quick links to navigate around the article about Betshop. 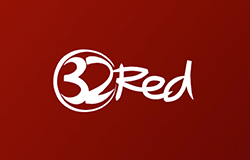 The company's website is far from the best but it doesn't apply to the website's functionality. 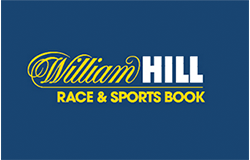 As it was said previously, the bookmaker is British, so it isn't hard to guess, that Betshop has its main focus on sports popular in the United Kingdom. Generally the action line consists of 25 kinds of sport, but the number isn't constant and depends on what time of year it is, and what competitions currently take place. The following sports are constantly present in the action line: football, basketball, tennis, volleyball, motorsports, American football, golf, hockey, cycling, rugby, baseball, handball. The bookmaker also accepts bets on non-athletic events and other socially significant events (TV shows, elections etc.). The line depth, regardless of its narrowness, is on a pretty solid level and for every event Betshop gives about 120 positions for betting, and for non-profitable as well. The most popular events have the action line depth of up to 250 events. It isn't hard to guess that the best offers are given for the sports, considered traditionally British – cricket, snooker, rugby, tennis and so on. Live section has only the most popular events, but their action line depth is far from best. The company's margin is at the level of 9.8 if you bet in a pre-match mode, and 8.5 if you bet in the live section. 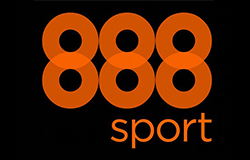 For similar sporting events, depending on the competition level, Betshop betting company sets the odds on a level of 1.88/1.92. It looks like Betshop betting company currently doesn't offer any bonuses on its website. At least, nothing indicates it. There is no separate section for promos and bonuses, and no banners offering any of them. So if you are a bonus hunter than there is definitely nothing to do for you in here. Consider other bookmakers for that matter. There is no special mobile application to make bets from smartphones and tablets. 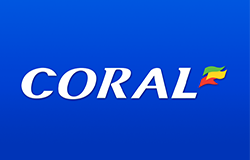 But if you like to use portable devices for online entertainment, you can simply go to the original Betshop website, and you'll be able to enjoy almost all of the features, available from PC. Regular betting section operates just fine, however there are currently some problems regarding mobile live betting, so if you prefer that kind of bets, you should consider doing it from a desktop computer. No special mobile casino app is provided by Betshop either, but gamblers can play casino and games the same way as they bet via mobile gadgets. Users just have to visit Betshop official website and start experiencing variety of gambling entertainment on their tablets or smartphones. Betshop betting company has its own casino section, which contains a wide range of different fascinating and exciting games. Top games include Scrolls of Ra HD, Basic Instinct, Jackpot Rango, Super Lucky Reels and others. Table games contain a great collection of roulette versions as well as such card games as baccarat, Casino High Low, Casino Hold'Em and Punto Banco. The number of versions of video poker and blackjack are also present. Slots have regular and video versions. Poker has a separate subsection either. The service has nice and convenient functionality. The games can be sorted by genre, jackpot, brand and other types. Betshop offers the following extra services in addition to their sportsbook. Betshop supports the following languages. Betshop bookmaking company is considered pretty young and not really popular, however it is developing dynamically, that's why there is a possibility, that its disadvantages will be fixed and advantages will become even more prominent. Generally, we can say, that Betshop betting service would be more fit for amateurs and novices. We wish you luck in your future sporting bets.